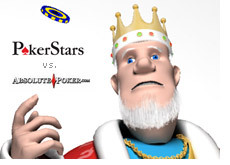 If you ever wonder why Pokerstars is the 800 pound gorilla in the online poker space and Absolute Poker is far below them, look at how the two companies responded to the two major "scandals" that may have happened on their sites. For those who don't know, many in the poker community believe that there are "superuser" accounts on Absolute Poker that allow for a "superuser" to see the hole cards of other players at the table. Before you write this off as an outlandish conspiracy theory, look at some of the evidence that was posted on 2+2 in the past month. It is pretty damning evidence, and most in the poker community believe that something is up. On Pokerstars, there is a major investigation currently ongoing into the winner of the WCOOP main event, "TheV0id." The allegation is that a live pro entered multiple accounts into the WCOOP, and that "TheV0id" was actually the "sister" of this pro. Apparently, this account was registered just before the WCOOP took place. Pokerstars has been investigating for days now, and is apparently close to announcing their findings. Now here is the difference between the two companies. Absolute Poker remained almost entirely silent on the matter. The only "official" statement that I saw was posted on a poker affiliate message board, and the statement left much to be desired. You would think that if someone was questioning the integrity of your site that you would be taking to the message boards, calming people's nerves and telling them that you were investigating the matter with every available resource that you had. 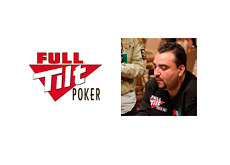 In my opinion, Absolute Poker seems to be trying to duck the issue rather facing the problem head-on, hoping that the allegations will go away. Pokerstars, on the other hand, has taken to the boards and seems to be trying to keep the general public updated as to what is going on. They acknowledged that there is an investigation ongoing, and I am sure that when they come to a resolution, they will also announce it on the various heavily-trafficked poker message boards. This is their premier event, and the fact that the winner of the WCOOP main event may have cheated would be a major black eye for the company. In the end though, I have confidence that they will make the right decision, and not just the right business decision. I have no doubt that Pokerstars will ban "TheV0id" and confiscate his money if he was found to be cheating, even though it might cause their company great embarrassment. I don't have the same confidence in Absolute Poker.